In my last blog I already noticed, that I don’t like winter. And it looked like we are getting an early spring this year for a few days. But now winter has come back and it is actually snowing over here and we have freezing temperatures. 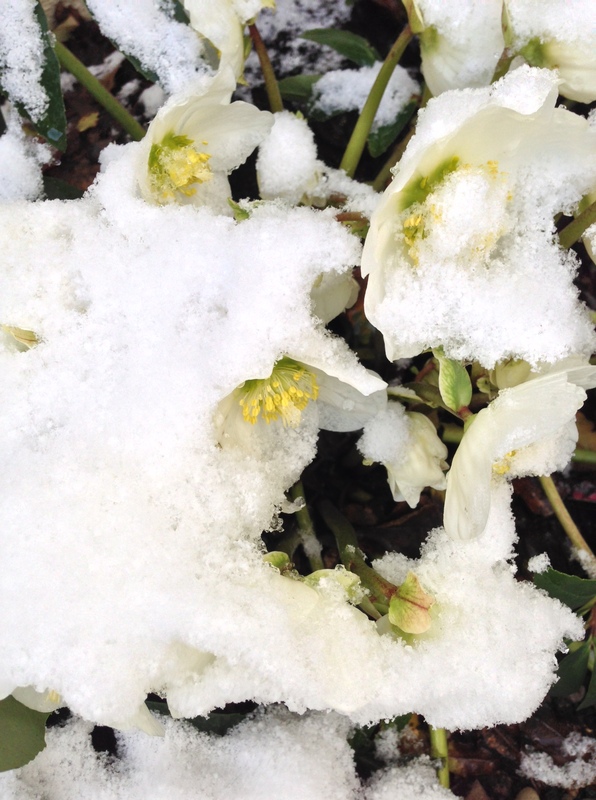 In our garden the christmas rose shivers under a blanket of snow, looking through it a little bit. 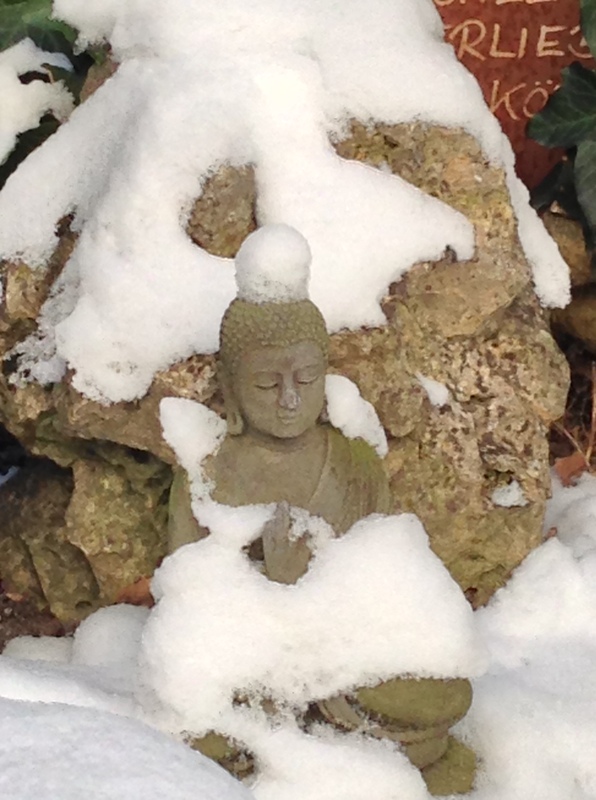 And even the Buddha in the garden wears a hat, a scarf and a blanket over his knees, to be protected from the cold. 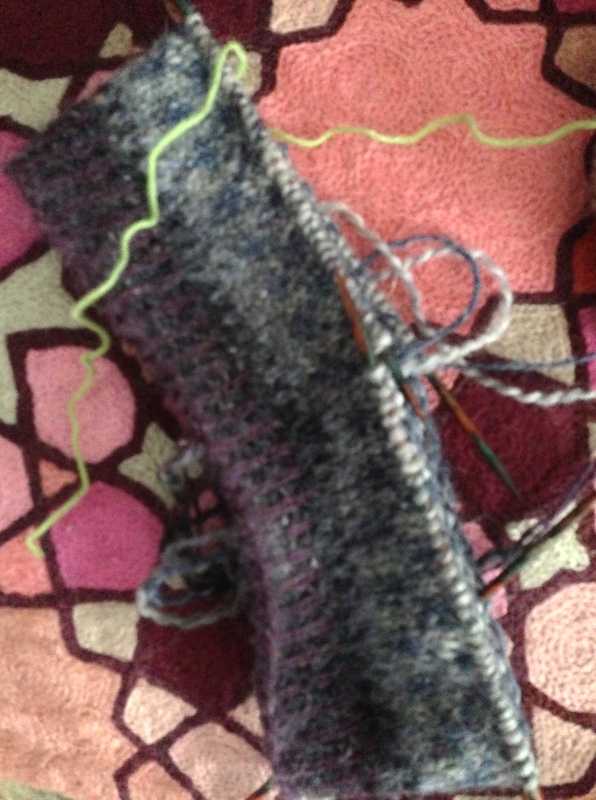 Although my Sunbearer Cardigan is ready to wear, the instructions are not ready to be released. But at these temperatures I thought of knitting socks and hats. So I started working on a pair of socks. For the socks I used Austermann Royal a sock yarn with 80 % merino, 10 % silk, 10 % cashmere and 20 % polyamid. 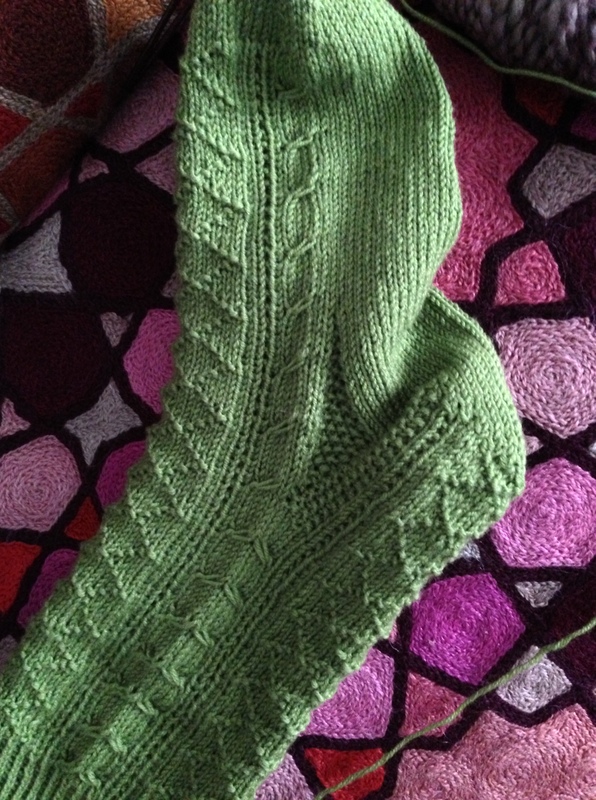 It’s warm and soft and the right yarn for my feet. The hat should protect my ears from the icy winds over here in Southern Germany. I guess it will be done today. For the hat I’m using Rowan Felted Tweed and Rowan Colourspun. The hat is knitted in fair-isle technique with a corrugated rib. I hope you will enjoy the pattern, that will released as a free download on my Ravelry Store. So stay warm until then. Wintertide, so long released as a free download on my Ravelry Store!